The registered owner of this website owns, and has always owned, the domain name SHOShop.com. This website has always had the same ownership, even while the physical SHO Shop in Huntington Beach California was open and this website functioned only as an online catalog. Since the closure of the business called "The SHO Shop" in Huntington Beach California in 2006 the registered owners of this website own all rights to the names "SHOSHOP" and "SHO SHOP", including trademarks, copyright, and website content. This website is managed in Boston, Massachusetts. It is separate and severable from the business formerly called "The SHO Shop" in Huntington Beach. California, and since it operates as a separate entity assumes no responsibility or liability for the now defunct California business which closed up in 2006. No one else owns any legal documentation that supersedes any of the rights of the registered owners of this website, as explained here. 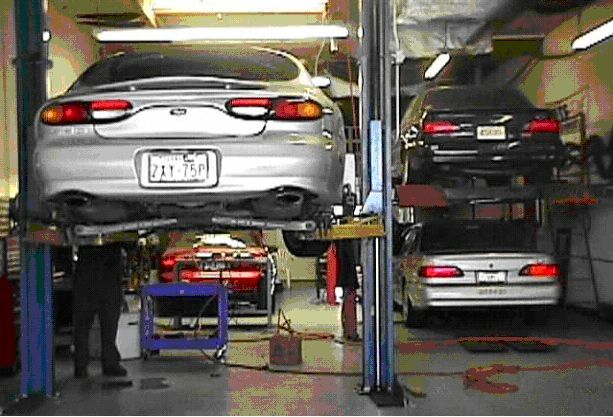 This site is a tribute - and a resource - for all Ford Taurus SHO fans. I'm taking the absolute best information I can find about the SHO and putting it all here. Information is taken from various places on the web, and I've also dug deep into the web archives and shown you some of Vadim's original recommendations on taking care of your SHO. Enjoy, and remember - SHO Fear! Boston Homes - because I know the guy that works there and he drives a SHO!